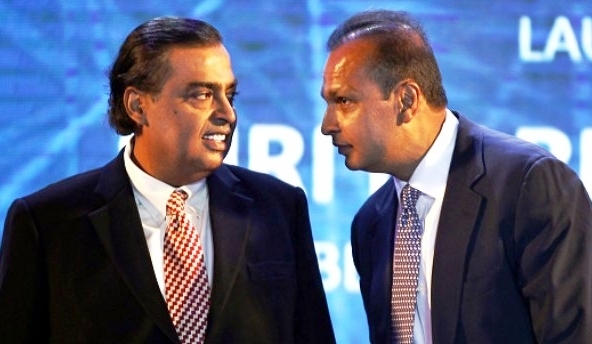 Mumbai: Reliance Communications (RCom) today said that it has terminated its asset sale plan with Reliance Jio Infocomm (Jio), citing lack of consent from its lenders and permissions from telecom department for the deal fall out among other reasons. These factors include non-receipt of consents / objections from RCOM’s over 40 foreign and Indian Lenders in relation to the proposed transactions despite over 45 meetings and the passage of over 15 months and non-receipt of requisite permissions and approvals from DoT. Some of the other factors mentioned by RCom include, the decision taken by the Board of Directors of RCOM at its meeting held on 1st February 2019 to seek fast track resolution of its overall debt through the National Company Law Tribunal, Mumbai. The applications filed before the Hon’ble NCLAT on 4th February 2019 for withdrawal of appeals against the admission of RCOM, RTL and RITL to the NCLT debt resolution process, and reinstatement of the said process. The order passed by the Hon’ble NCLAT on 4th February 2019 restraining the sale, transfer or alienation of any movable or immovable property of RCOM, RTL and RITL. “The statements of the lenders, as recorded in the order dated 15th March 2019 of the Hon’ble NCLAT, that it is not possible for them to sell the specified assets, and therefore, the NCLT process for debt resolution should be reinstated. RCOM Group is committed to a comprehensive resolution of their overall debt, with transparency, certainty and finality, through the NCLT process” the Telco said. The next date of hearing in this matter is fixed before the Hon’ble NCLAT on 8th April 2019.